LONDON (VIP-NEWS) — Journey and Whitesnake along with special guests Thunder, are set to appear onstage together for the first time ever in May 2013, taking in eight dates across the UK. Journey's Neal Schon said of the tour: "Looking forward to getting back to the UK and playing our best for you all. You guys are the very best, cheers and see you soon. We will be rocking!" Meanwhile Whitesnake say they're back with a vengeance in 2013, with plans to release a live DVD ahead of the tour as well as a double album. 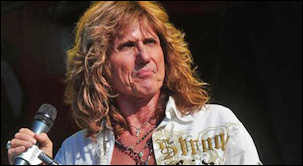 "Unfinished business…" as Coverdale says slyly. "We all wanted the last tour to continue as we got closer to the end…After a year in the studio we're ready to rock on stage again…We're coming back for more…"
Special guests Thunder will also be joining the UK dates. Singer Danny Bowes says: "We'd already discussed possibly doing some shows next year, so this is perfect, and it's a great bill, like they used to be back in the day, it'll be a brilliant night out".